From Cobra’s Blog, published on July 21, 2013. Event Support Groups need to be formed around the world in every country. 2. 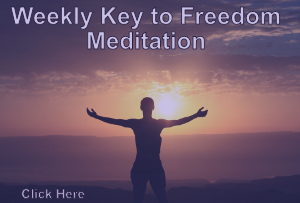 It is suggested that every Event support group does the Weekly Liberation Meditation. Instructions for this meditation are here. The best time of all Event support groups to meet is every Sunday evening. 3. It is suggested that members of every Event support group discuss their own preparedness for the Event and actively search for ways of contributing to the transition. Members of Event support groups can join our Renaissance, Technology, Financial, Leadership, Healing and Media teams. 4. Existing Event support groups are listed on the Prepare for Change home page. If you find your location listed and would like to join an existing group, you can use the Participate form for the Prepare for Change team. They will connect you with the group nearest to you. If there is no group close to your location, you can create one and inform our team of its existence. I need to connect with a group here in Los Angeles North County area, Santa Clarita, CA to start learning about the whole process and help others to learn about tha changes are coming soon, blessings. Please fill in the form below with the Location you are in and your facebook account and we will create that record in the table you see above the form. Nancy, please fill in the form below with the Location you are in and your facebook account and we will create that record in the table you see above the form. Id like to join/start a group in Los Angeles. Is there anything you can do to connect me with those who are interested? I am forwarding your comments to Leslie who will connect you with a coordinator in California. as you can survive without electricity for two weeks? as you can purify water for 2 weeks? as you can feed the kids for 2 weeks without cow’s milk? with oats, ground barley as well as everything that is organic cereal, brown rice, with beans, with chickpeas, with tomatoes, onions, garlic and lemons, vinegar and oil, lettuce and broccoli, mixed nuts, and fruits, with salt and honey, with that and everything else do we find enough to live in peace and harmony. not needed: soft drinks, bottled water, refined flour, refined salt, refined sugar, baby food by boat, or athun sardine cans or other” can”, crisp packets of fried bananas, almond , nuts or anything that is fried and spicy, eggs or derivatives, including milk or meat. and sure you can avoid more products yet.